Don’t throw your bouquet away after the wedding, freeze dry the flowers and preserve the memory. This is not a DIY project where you put your flowers into the freezer, which will not freeze dry them, but one that requires thehelp of a professional. The freeze dry process occurs inside a machine that freezes the flowers and removes moisture simultaneously. Freeze drying takes from 21 to 40 days, depending on the amount of flowers in your bouquet. Naturally, some flowers work better than other in this process, although all flowers can be freeze dried. 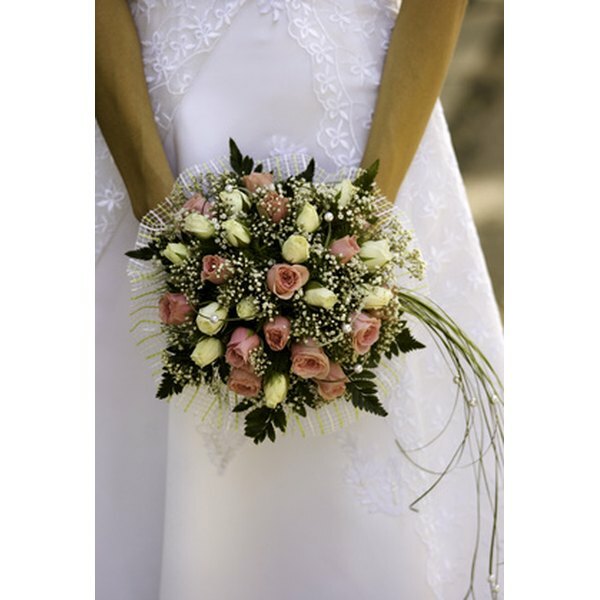 Ask your florists for freeze dry specialist recommendations when you order the bridal bouquets. Emphasize that you are specifically looking for a freeze dry specialist and not a flower preservationist, which use a different method to preserve flowers. Request three different recommendations. Contact the three recommendations. Inquire about the total cost and whether there are any package deals available, such as the boutonniere included in the price of the bouquet. Ask about the process and learn if any damaged flowers are replaced or touched up. Find out which flowers are not conducive to the process, and what steps you are required to follow to begin the process. Write down all the information. Prepare the box and pre-pay shipping arrangements ahead of time. 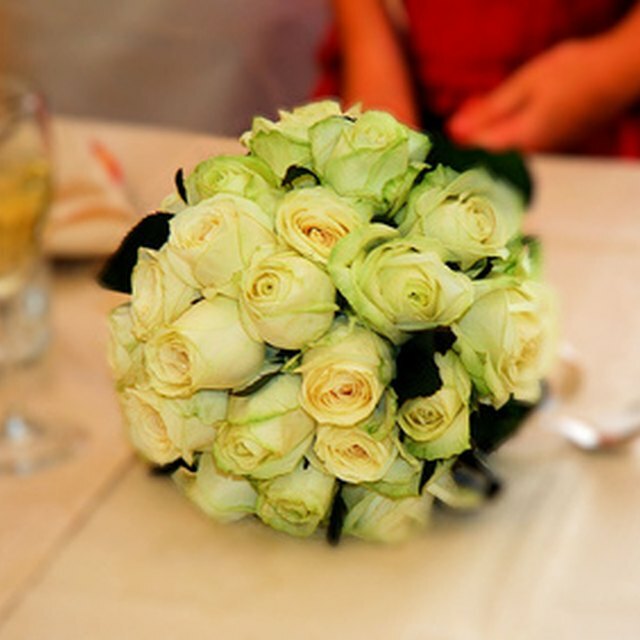 Designate a trusted friend or the florist to handle the bouquet transfer arrangements. Explain the steps he needs to follow and give him written instructions. Have the transfer box brought to the reception. Enjoy your wedding. Allow the photographer to pose you with your bridal bouquet and showcase your rings. Secure all the pictures you want with the bridal bouquet before heading to the reception. Lay the bridal bouquet on several towels inside a small cooler chest filled with three packages of liquid ice. Place the transfer box, with another set of written instructions, on the top of the closed lid. Show him where the flowers are located. Call and confirm the flowers have been transported. Contact the freeze dry company and confirm receipt of your flowers. Call them 30 days later for a progress update on the process. Mist the flowers with water before inserting into the ice chest and the box. Chrysanthemums, daisies and dahlias do not freeze dry well and may need to be reconstructed after the freeze dry process. Do not put flowers into the freezer as that will start the freezing process and cause flower to decompose during transport. Flowers may be put into the vegetable section of the refrigerator for cooling. Frosted Floral Memories: All You Ever Want To Know About Freeze Drying!! !